Here is a compilation of recent parking policy highlights (and some curiosities) from around the web. Three short video clips reporting on "Parking woes in Singapore" from the Straits Times online's Razor TV. I am not sure if this link will be permanent. Includes some breathless exclamations over expensive parking (over prices that are actually quite low compared with CBD prices in many rich cities around the world). Straight Outta Suburbia highlights the power of mapping the land lost to parking (using the example of a light rail station vicinity in Los Angeles). UC Berkeley research on how parking lots affect the environment. Interesting approach and findings. UK's Living Streets organisation calls for exclusion zones banning parking around school gates to encourage walking to school. Hyderabad also going after 'parking norm violators' (The Times of India). See also my post on similar events in Ahmedabad. My new paper on parking finally out in Transport Reviews (behind pay-wall sorry) "Off-Street Parking Policy without Parking Requirements"
A planning boad member reflects on parking code follies: in Orange County, California. A video of a VERY narrow parking space in a Dutch house. In compact cities it is not easy to minimize opportunity cost of parking. Mumbai is spending big on park-and-ride facilities. But is Park & Ride really good planning for high-density cities? A local council representative muses on the thankless task of addressing car parking woes in SS20 in Petaling Jaya, Malaysia. Via the Nut Graph. 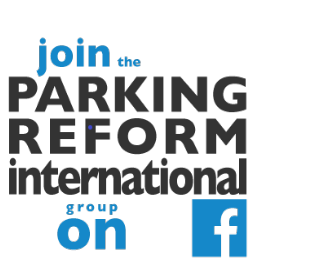 The Australian Parking Conference 7-9 November. Donald Shoup, author of The High Cost of Free Parking, will be at a full-day seminar at Melbourne Town Hall on November 4. Details here. Hospital parking charges - a learning moment? Walkway parking - a problem almost everywhere?